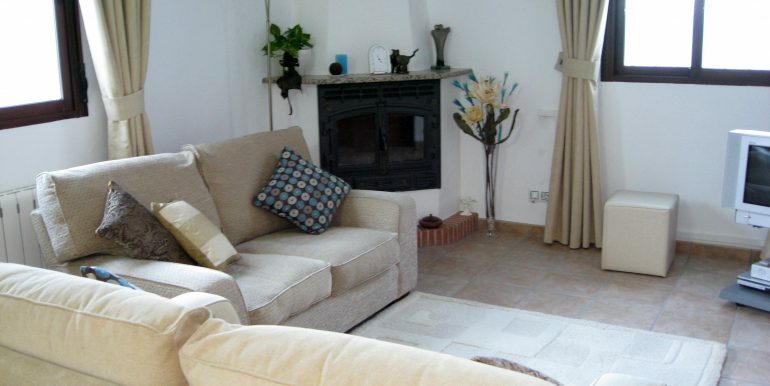 South facing detached bungalow with swimming pool, constructed on the site of an old mill outbuilding, above the stream ‘Arroya y Gata’, set in the Sierras Subbeticas National Park in a tranquil, senic location within the olive groves of rural Andalucia. 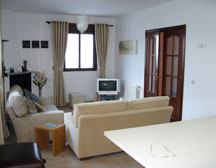 An ideal home for relaxing or for visiting the surrounding cultural cities of Cordoba, Granada, Seville and Malaga. Ideally situated for the coastal resorts to the south or the Sierra Nevada ski slopes to the south east, all within an 1.5 hours drive. Casa Remo is 10 minutes from Iznajar, a picturesque, traditional Andalucian hilltop white village with 16th century church and 8th century Moorish castle overlooking the 32km lake of Iznajar. 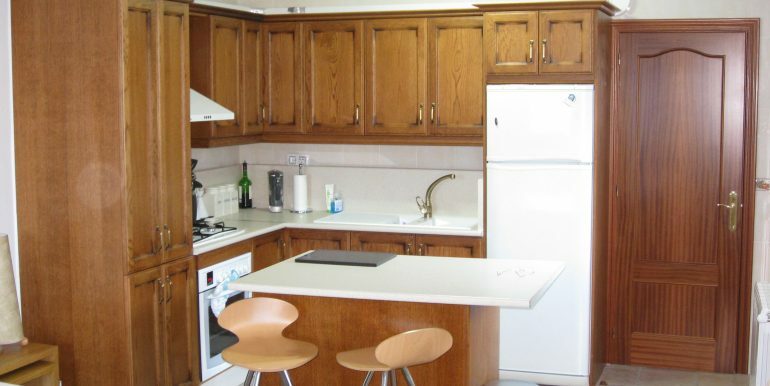 The accommodation consists of an open plan living room/kitchen,3 double bedrooms, 1 en-suite shower room and 1 family bathroom. 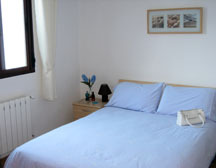 Every room has central heating and double glazing which is essential for those cool autumn and winter nights. Quality floor tiles have been laid throughout. The entrance to Case Remo is either through the main front door which leads into a passage from which all rooms can be accessed, or through a side door into a utility room housing the central heating boiler, storage and washing machine and finally into the kitchen/lounge. 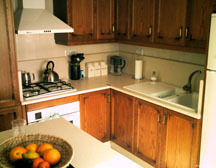 The fitted kitchen has a central island which can double as a dining table, electric cooker, gas hob, fridge/freezer. The lounge area has a log burning estufa for extra heating in those cool winter evenings..
All bedrooms have double occupancy capacity. 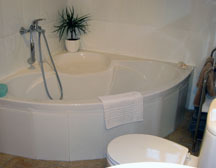 The main bedroom has an en-suite with walk-in shower, the remaining two bedrooms share a family size bathroom with corner bath and shower. Set in the heart of Spain’s Olive country with the backdrop of Olive, Walnut and Almond trees plus a variety of exotic local fruits & flowers, this unique modern style bungalow with over 3,300 sq.mtrs of land,is well positioned sitting on the main Lane between Iznajar village and the small Village of Cruz de Algaidas. The garden is easily maintained with steps leading to the pool room which also houses the oil storage tank (central heating) and garden tools. 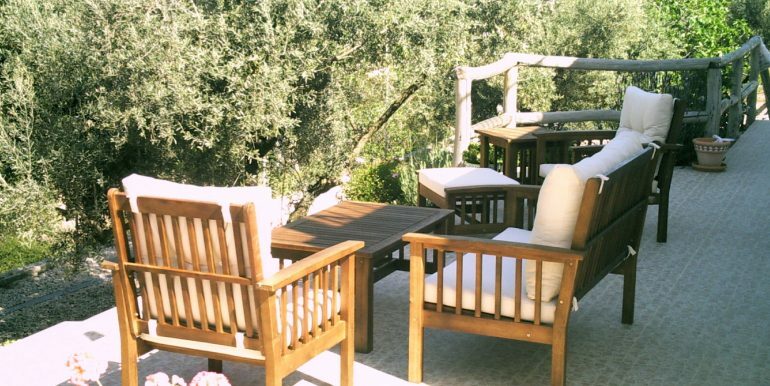 The garden is completely secured with fencing and locking gates to the front and rear. 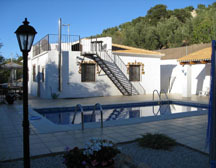 There is an 8 mtr x 4 mtr fully tiled swimming pool with steps to both the shallow and deep ends. There are 3 fully tiled terraces including a roof terrace which is ideal for catching the final rays of sunshine especially in the autumn/winter months. In season there is an abundance of figs, almonds, walnuts, cherries and pomegranets which grow within the land & surrounding area. 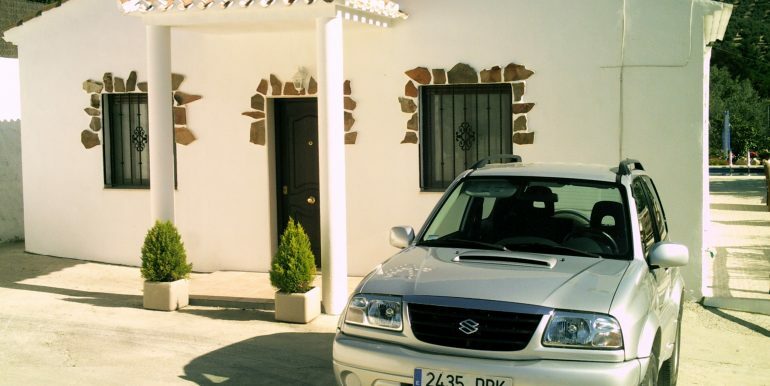 The main entrance is through two large gates, with a large amount of parking space to the front of the casa. 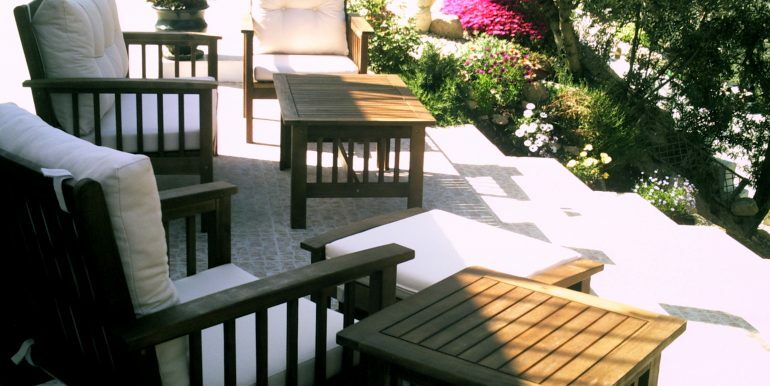 To the side of the property is a terrace, which is ideal for morning coffee and relaxing before the heat of the day, and to the rear of the property is the swimming pool terrace, for table chairs and parasol. 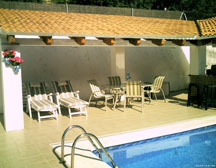 A tiled roof gazebo occupies one end of the pool area for that all important shade, which can be equipped with outdoor dining table, chairs, fridge, bbq and t.v. The Sierras Subbeticas is a stunningly beautiful, rugged park located in the heart of Andalucia between the three great cities of Cordoba, Granada and Seville. The park was designated a natural park in 1988. It is home to one of southern Spain’s largest breeding colonies of griffon vultures, as well as around 70 other bird species like booted Bonelli’s and short-toed eagles. It also has a rich variety of wildflowers. 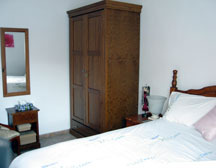 Rural Andalucia is traditional Spain, the Spring is warm and sunny whilst the summer is hot with endless blue skies. 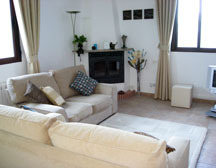 Autumn and Winter have colder nights but advantage can be taken of the central heating installed in the casa. 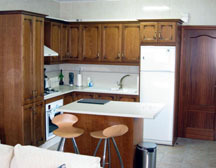 The area is central to visiting the cultural centres of Granada, Cordoba, Seville and Malaga and offers the opportunity to experience different activities including walking, horse riding, fishing, bird watching, golf and cycling – or skiing and snow boarding is available during Winter in the Sierra Nevada. Eat out in one of the many local tapas bars or restaurants, this unspoilt working rural area produces some of Spain’s finest quality olive oil. Many fiestas occur throughout the year in local villages, experience the festivities into the early hours. Casa Remo is 5km away from the village of Iznajar with its fascinating winding narrow streets, Moorish castle and church. It is set high on a rocky outcrop and is surrounded by olive clad hills and mountains with fantastic view of the lake. Many bars, restaurants and small shops can be found within the village. 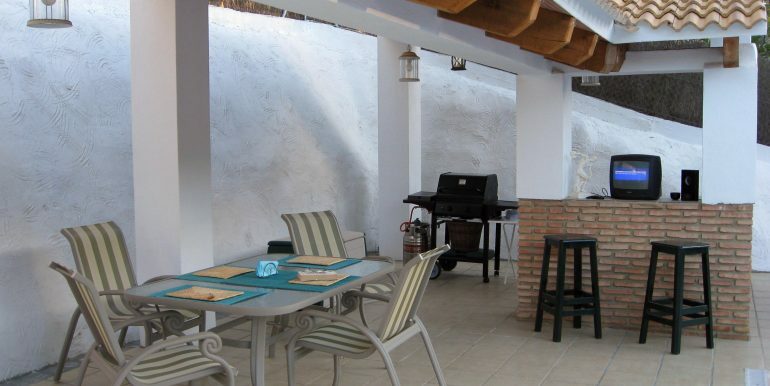 Airports: Granada (45 minutes away) or Malaga (50 minutes away). – Pool Pump room and oil storage for C/H plus ample storage for garden tools etc.